MIX of plates of all thickness! 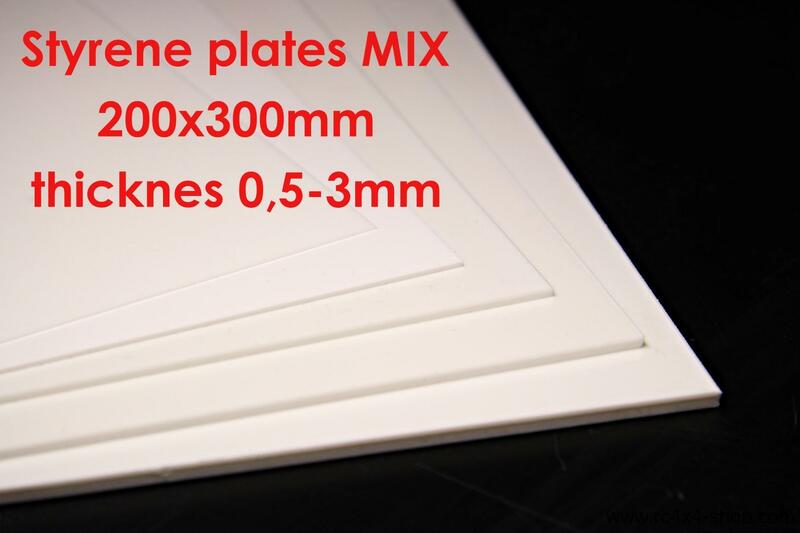 You will receive 5 plates of size 300x200mm with thickness 0.5, 1, 1.5, 2 a 3mm!!! Styrene is the most used material for scratch builds of bodies and equipment for RC cars and not only for them. It is a plastics that can be cut by knife and then bent and brake over the edge of table. Use a sharp knife, lexan scissors, file, sand paper etc..
Can be glued with CA Glue (e.g. Surefix glues from our offer) or glue for plastic kits (Contacta liquid, Styrene Bondene etc) We recommend using a CA glue. It is necessary to abrade contact are with sand paper and remove all grease. 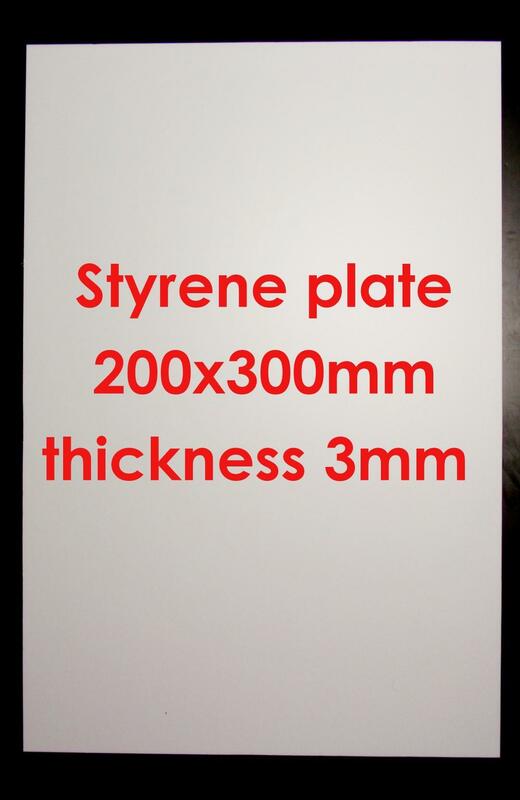 Plastic plates are always in size 200x300mm (ca A4 paper size) that is ideal for shipping. Colour is white-creamy, surface is shiny but very small surface scratches may appear, they have NO influence on function, quality or durability. Tolerancy of size is +-3mm.